With neighbours like Japan and Hong Kong, the small island-nation of Taiwan is often overlooked as a travel destination. Taiwan may not have the world status of these neighbouring countries, but trust me, you need to put it high up on your bucket list. The nation’s capital, Taipei, is a bustling city with incredible architecture, modern infrastructure, a rich culture, friendly locals, and beautiful natural surroundings – more than enough reasons to visit. Add to the list amazing food, and you’ve got yourself the perfect destination. Taipei is teeming with tantalising food options waiting to be discovered; although the metropolis has its share of high-end restaurants, its appeal lies in the variety and flawlessness of its street food and local eateries. You don’t have to walk far to find great street eats, as virtually every neighbourhood will have food stands on each corner, and the city’s many night markets will keep your palate busy for days. Get your day started with a visit to Fu Hang Dou Jiang, a popular breakfast institution in Taipei. The menu is simple, with your choice of a savoury soy curd topped with chili and miniature shrimps or hot sweetened soy milk, both accompanied by an artisan-roasted flatbread, stuffed with egg omelets or deep-fried flour sticks. PHEW! Make sure to arrive early and give yourself plenty of time, as the popularity of Fu Hang Dou Jiang means you could be queuing for over 45 minutes on any given morning. For a perfect snack on the go, at any time of day, pick up a flaky scallion (spring onion) pancake. This delicious snack is more reminiscent of a grilled flatbread than a pancake and it can be eaten on its own or filled with a variety of toppings like eggs, cheese, ham, and spicy sauce. 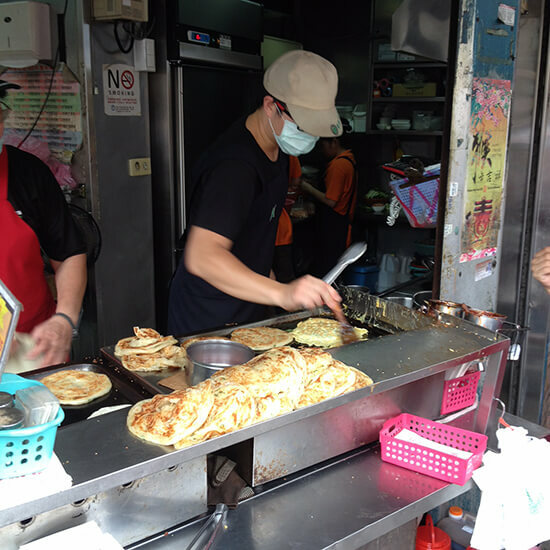 While many stands all over Taipei will sell this snack, Tianjin Flaky Scallion Pancakes, a small corner stand in the Da’an District, has the best in town. One of Taiwan’s most popular dishes, this trendy snack is making waves around the world, but is not only more flavourful, but also less expensive, in Taipei. 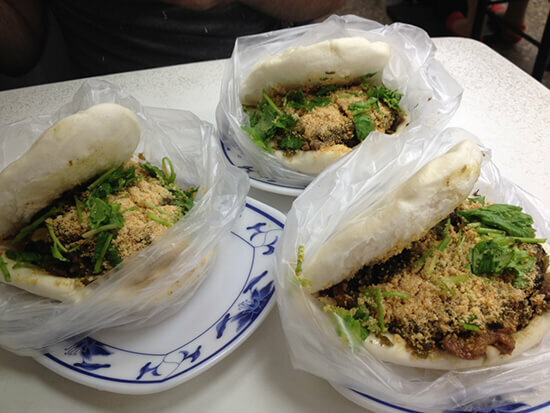 The gua bao, a hamburger-style, fluffy steamed bun filled with fatty pork belly and pork meat, is topped with pickled mustard greens, crushed sweet peanuts, and coriander. Lan Jia Gua Bao is home to the best gua bao in Taipei, with an option to have more or less pork fat depending on your preference. Go for half and half, your tastebuds will thank you! 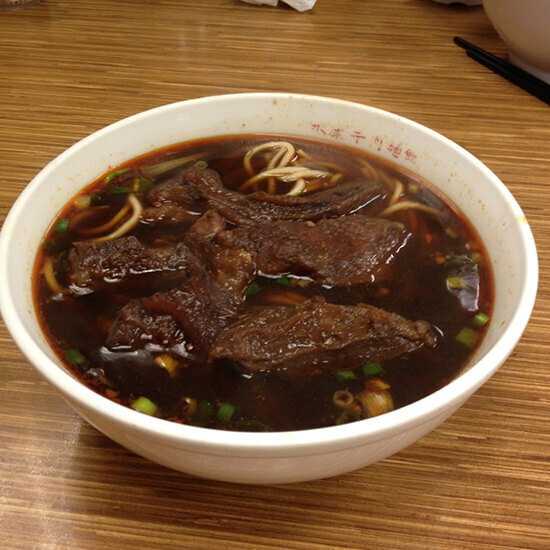 One of the biggest food surprises for me was the Taiwanese beef noodle soup: a rich, dark brown broth spiced with star anise and soy sauce, filled with tender slow-cooked beef shanks and al dente yellow noodles. Unassuming at first sight, the beef noodle soup blew my mind at the first taste, and I simply couldn’t get enough of it. Try it out at Yong Kang Beef Noodle, a small restaurant specialising in the dish since opening in 1963. Shanghai can take the credit for inventing the succulent xia long bao: thin rice dumplings filled with a pork meatball and soup; however, many people say Taiwan has perfected the creation. One of the best places to taste xia long bao (along with a variety of other dumplings and dim sum favourites), is Din Tai Fung. 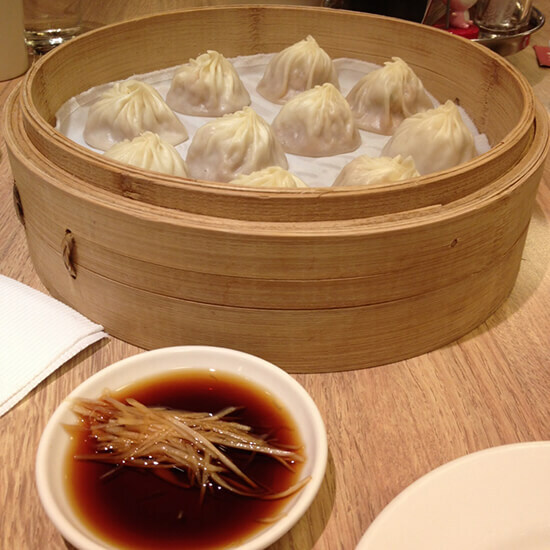 A Taipei institution, Din Tai Fung has become a worldwide phenomenon, now with locations in 11 countries. In Taipei you can visit them at the very first location in Xinyi District, or at Taipei 101 after a visit to the Taipei 101 Observatory. If you’re heading up to northern Taipei to see the second biggest collection of Chinese art in the world at the National Palace Museum, make sure to stop along the way at the Popcorn Chicken King. This storefront eatery has been serving deep-fried foods for many decades now; while they specialise in popcorn chicken – hence the name – you can get one of over 150 different foods here, including various chicken parts, seafood, and vegetables. Simply fill out an order card and soon you will have a bag full of food deep-fried to order, perfectly seasoned with mystery spices and a stem of basil. The tricky part? As there is no English menu, you have to rely on your sight to choose what you want; we mistakenly ended up ordering chicken knees, which, after being fried and seasoned, tasted surprisingly delicious! If you want to take a chance, try something unusual, otherwise, the famous popcorn chicken is definitely worth a visit. 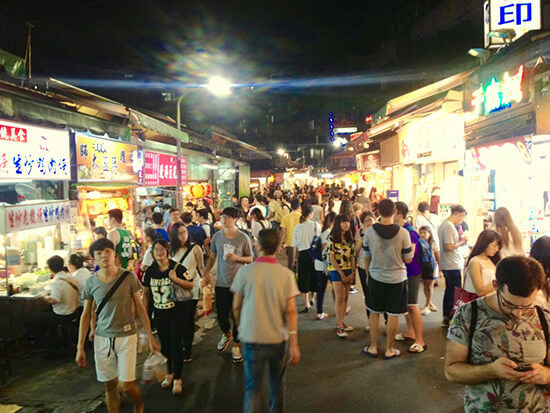 Taipei has a number of night markets selling all manner of food, clothing, and knick-knacks. My favourite, Shida Night Market, which spans multiple blocks, comes alive every evening and stays vibrant until the early hours of the morning every single day. In particular, it is renowned for its hotpot stands. Similar to the Popcorn Chicken King, you’ll be able to choose from a variety of meats and vegetables, which will be cooked fresh to order. Here though, the food will be boiled in fish broth, making this a somewhat healthier alternative. 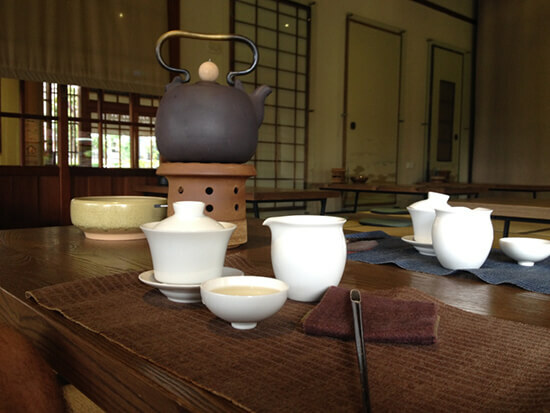 After exploring the Red House and Ximen shopping area, take time out to enjoy a pot of Taiwanese tea in a traditional tea setting. Reminiscent of a Kyoto teahouse, the interior of EightyEightea is complete with tatami mats and paper walls, and has a beautiful garden at the back. While the tea menu is thorough, the emphasis is on Taiwan’s national tea, oolong, which comes in a variety of fusions. EightyEightea will not only be a welcome beak for any tea lover – it will also be a cultural experience, as you learn how to drink tea in one of three traditional east Asian ways. For something a little stronger, stop over at Zhang Men Brewery for a taste of Taiwanese craft beers. 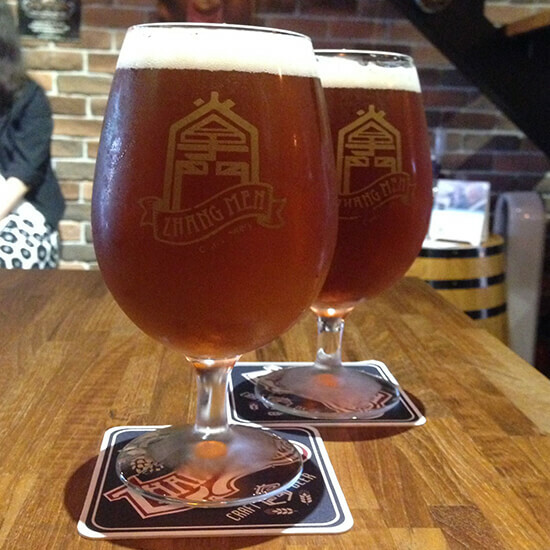 Established only in 2014, Zhang Men is Taiwan’s first, and so far only, craft brewery. The tasting room, found within the brewery itself, has a great atmosphere and with 16 different beers to try you’re sure to find something you'll enjoy. The experience comes at a cost though, with a glass of beer coming up to about £9, unusually high for an otherwise inexpensive city; however, if you visit during their daily happy hour, you will get a free beer for every two beers you purchase. Another Taiwanese invention that is taking over the world, mango shaved iced tastes better than ever in its home nation. 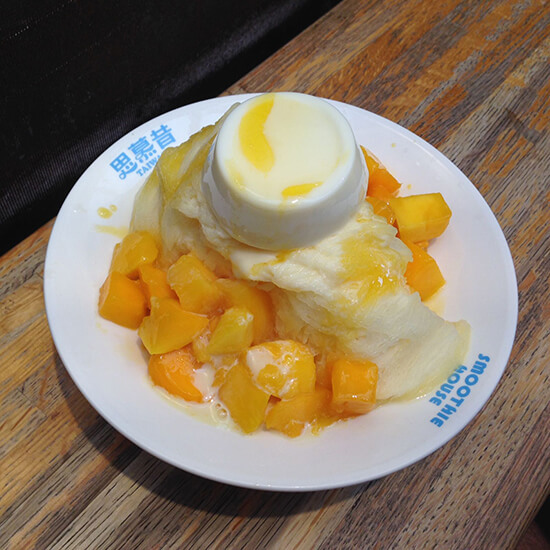 A big mountain of shaved mango-flavoured ice, topped with mango chunks and drizzled with sweet condensed milk, is not only the perfect dessert, but also a delicious way to cool down after walking around the city on a hot day. We had ours at the Smoothie House, another Taipei institution that is so popular you may have to wait for your turn. If mango isn’t your fruit of choice, you can pick from a variety of options including kiwi and strawberries. Bring a friend if you can, as these deserts are simply too big for just one person! Eat your heart out in Taipei! Make an appointment with one of our Travel Experts and they'll have you tucking into to Taiwan in no time.